When it comes to cycling, lots of riders fall into a familiar trap. Once they give up, they find it virtually impossible to get back on the bike. Runners have the same problem: once you stop stepping out on to the roads or trails, it’s so difficult to get going again. If you have abandoned your bike and it is gathering dust in your garage or shed, then take some time to ask yourself why. Is it down to a lack of time? Is there a feeling that you won’t be able to recapture the form of your younger days? Or is it pure laziness? Many riders will find some excuse not to get back in the saddle: the tough bit is to motivate yourself enough to drag your body off the sofa. Make sure you don’t dwell on the past. If it is a long time since you achieved a personal best time then don’t fret about recapturing that peak form. You might be older and you may have developed a middle-aged spread. So be realistic and realign your targets and cycling goals. 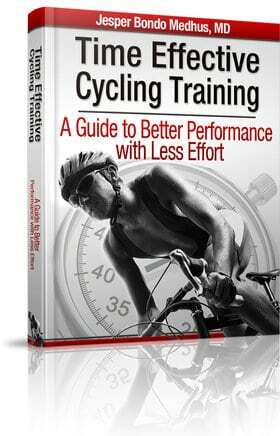 Don’t beat yourself up about why you have stopped cycling or have failed to train in the past few months or years. The future is what’s important, not the past. So make sure your focus is purely on looking ahead. We all need goals to motivate ourselves. It’s much less likely that we’ll get back in the saddle if we have nothing to train for. So set yourself a target and make sure it’s achievable and not too ambitious, especially as you may have lost some basic cardiovascular fitness. This will help focus your mind and keep you motivated. One idea would be to enter a 100-mile road race. This would be the perfect target to train for. Another aim would be to shed a bit of weight. You may have put on a few kilos while you stopped riding, so a weight-loss target could give your training regime a nice bit of added interest. If you’re serious about getting back on the bike then you need to add some discipline into your training regime. If you have a busy life juggling a job and a family, then it’s crucial that a lack of time does not prove to be an insurmountable barrier to cycling again. 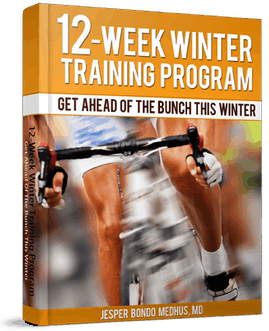 A regime such as the 12-Week Winter Training Program could be a perfect fit for your immediate ambitions. There is nothing better than gaining encouragement from others so why not train with some cycling pals or rejoin your old club? Age is no barrier if you want to cycle well. If it’s several years since you rode competitively then you will simply have to realign your goals. You may not be able to ride quite as quickly as in your younger days, but it will be a great challenge trying to get your times down. So set personal goals. It might be a big decision to get back on the bike so it may help to get validation from friends, family and old riding colleagues. Ask them what they think. They are likely to be encouraging and urge you to go through with your plans to kick-start your career. The above tips are all sensible steps to take but at the end of the day, there are no excuses. If you want to ride again, then there is nothing stopping you. Just go for it.